All about PRUmy child. Health insurance start from pregnancy. What are the benefits available in this plan? 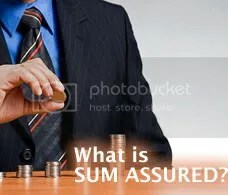 In the event of TPD, the sum assured is payable subject to a maximum lump sum of RM1 million upon claim. The balance of the sum assured will be paid upon the first anniversary of the TPD. Upon earlier death, the balance of any sum assured will be paid immediately. years on their next birthday. Value of units in the account at the point of surrender. It’s never too early to start protection with PRUearly start or PRUbest start benefit that offers Child Care Benefit and Pregnancy Care Benefit for pregnant mothers and their unborn child. Who can take up the PRUmy child plan? You can take up this plan for your unborn child as early as 18 weeks into your pregnancy, or for your child who is between 1 – 18 years of age on his / her next birthday. The parent, who must be between 18 – 60 years old, owns the policy and is able to adapt it as they see fit for the benefit of the child. How long do I need to pay premiums for? 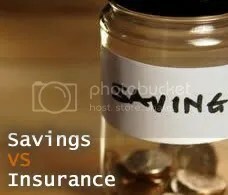 Premium is payable throughout the whole policy term until the expiry of the policy. Upon expiry of any optional or add-on benefits, the premiums will be reduced accordingly. How can I enhance the coverage of the PRUmy child plan? Takes care of your child in the event they are diagnosed with critical illness, including child-specific illnesses under the new PRUessential child1 rider that covers them up to the age of 25 years next birthday. Pays for your plan in the event of death (if applicable), TPD before age 70 or critical illness. Comprehensive coverage for injuries due to accident. Takes care of major medical bills in the event that your child needs surgery or outpatient treatment and if he or she is hospitalised. How do I start building my child’s education fund? You can attach either PRUsaver kid or PRUedusaver where the premiums will be invested in our series of PRUlink or PRUlink education funds. Is PRUmy child eligible for tax relief? kid or Parent Payor. Furthermore, premiums paid for PRUfamily income, PRUfamily double income and PRUessential child may also qualify for tax relief. Your child will be entitled to life / medical tax relief upontransfer of ownership. New TV Commercial by Prudential. Do you need help on Prudential Insurance services? If you lost your agent or you bought insurance policy direct from the bank , and didnt know where to get assistance on Prudential Insurance related matter. You may contact me, I will help as much as I can. 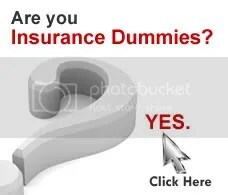 Do you need Prudential’s claim form? How to do Death or Critical Illness claim? How to change mailing address? How to change nomination of your policy benefits? How to do income tax relief from your Life and Medical Insurance? How to check status on my policy? How to upgrade my protection? Affordable premiums start from RM3000 yearly. Medical benefits wit limit of RM225,000 lifetime including outpatient treatment. Please contact me for brochures. In 2002, the Malaysian Government introduced a new programme replacing “the Silver Hair Programme ” to encourage foreigners to come and live in Malaysia. This allowed foreigners to purchase a home and live in the country. Upon approval, an applicant is granted a 10-year stay, which renewable. Visa holders under this programme are permitted to work in the country except in very special circumstances where the person possess unique skills. Visa holders are allowed to invest in the country as long as it does not involve full time paid employment. They are also permitted to do charity work provided they inform the Immigration Department. Citizens of Israel, Montenegro and Yugoslavia are not permitted to apply under this programme. 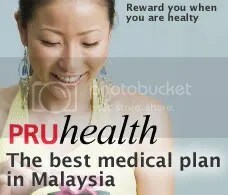 An applicant must possess a valid medical insurance policy from any insurance company that is valid in Malaysia, together with a medical report from any recognized medical institution. 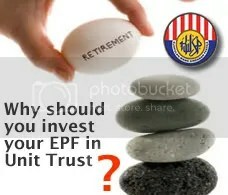 Prudential been in Malaysia since 1924 with strong financial profile. Please contact me if you interested to apply Prudential Health & Medical Insurance for your MM2H submission requirement. Please email me for more info. Signing up process can be done via email without you have to come over to Malaysia just for insurance sign up purpose. Once your policy documents is ready, you may come over to Malaysia and straight to Immigration Department for application process. # Provides additional protection for parent to ensure child will continue to enjoy uninterrupted protection and benefits should unfortunate event happen to the parent.